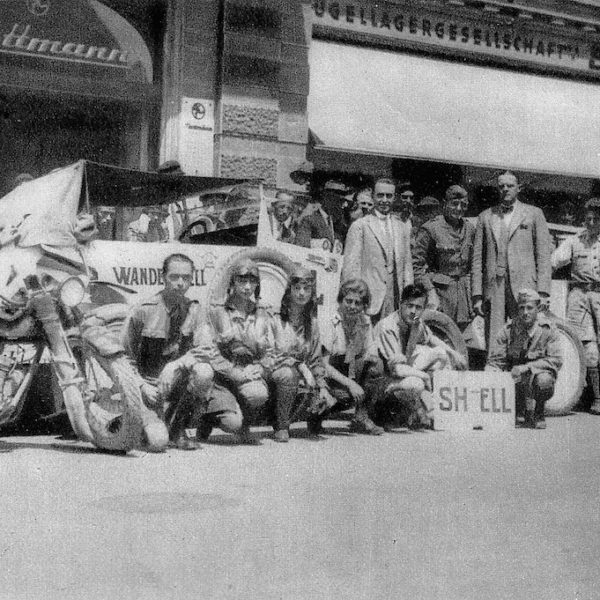 In February 1907, the Royal Dutch Shell Group was created through the amalgamation of two rival companies: Royal Dutch Petroleum Company and the “Shell” Transport and Trading Company Ltd of the United Kingdom. 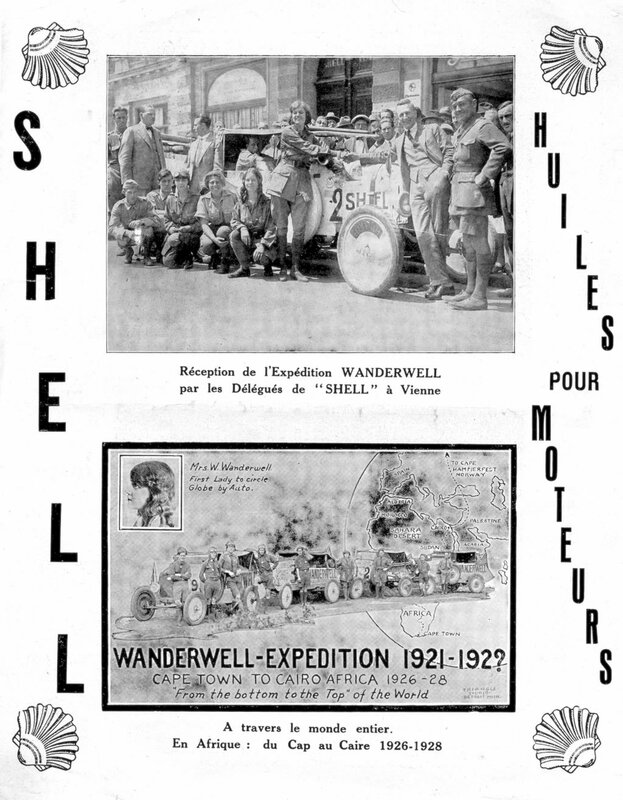 During the First World War, Shell was the main supplier of fuel to the British Expeditionary Force. 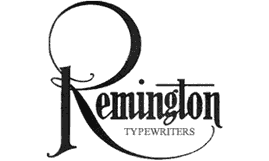 It was also the sole supplier of aviation fuel and supplied 80 percent of the British Army’s TNT. It also volunteered all of its shipping to the British Admiralty. 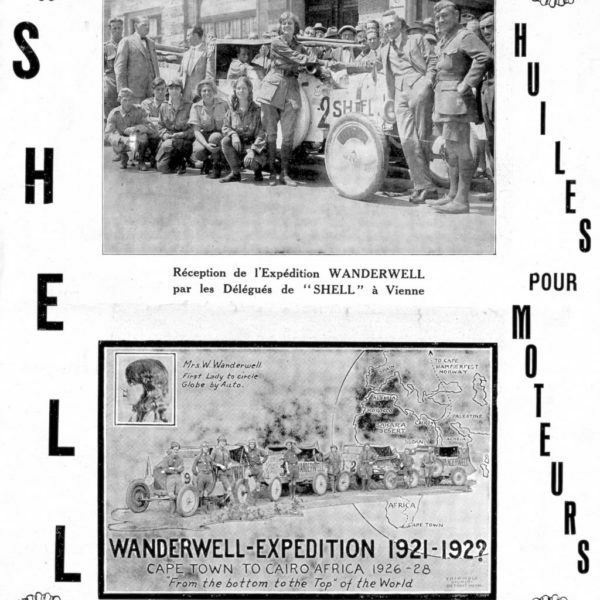 Photos show The Wanderwell Expedition being welcomed by representatives of Shell in France. 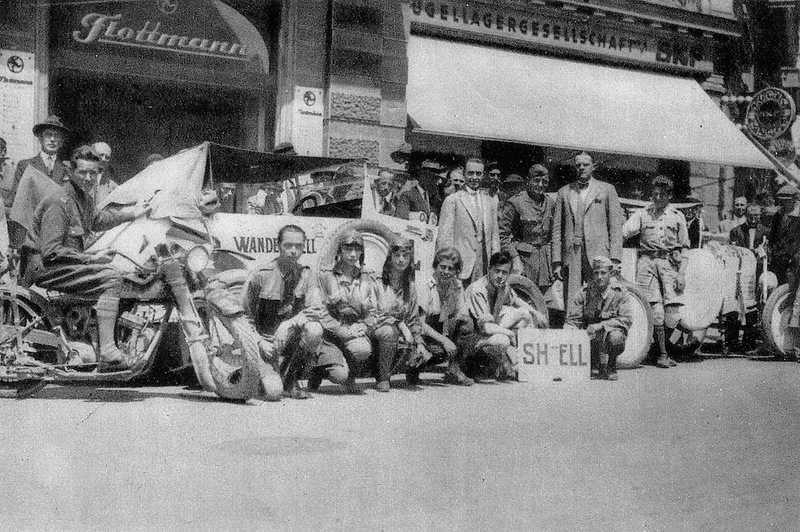 Shell Oil supplied the Wanderwell Adventurers with fuel for their historic drive around the globe.